Preventing infection from misuse of medication vials is a hot topic. The Joint Commission issued a Sentinel Event Alert on June 16, 2014 about the subject of misuse of medication vials. 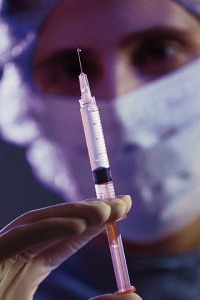 A nurse inserts a needle into a needle into a single use vial, draws out half of the contents, and injects a patient. She then inserts the same needle into the vial, draws out the other half and injects a second patient. A nurse inserts a needle through the top of a vial, withdraws half of its contents, changes the needle and leaves the original needle in the top of the vial so she can use it again to withdraw more medication. A nurse removes half of the medication from a single use vial and puts the vial back into the medication cart so someone else can use the rest. A nurse finds that half of a single use vial’s medication is leftover. Not wanting to waste medication, she removes this medication and injects it into another vial of the same medication. Does this syringe contain bacteria? All of these practices have the potential for harming patients through contamination of medication. 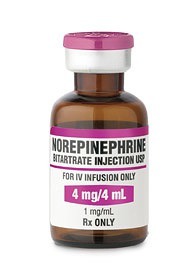 The misuse of single and multiple use vials has caused patients to become infected with hepatitis and meningitis and develop epidural abscesses. Bacteria and viruses thrive in single dose vials, which lack preservatives which inhibit their growth. The Centers for Disease Control has found that since 2001, there have been at least 49 outbreaks of infection due to mishandling of injectable medical products. A survey of ambulatory surgical centers found that 68% of them had at least one lapse in infection control and 18% had lapses in 3 or more of the 5 infection control categories. Using single-dose medication vials for more than one patient occurred in 28% of the facilities. At Med League, we’ve worked on cases involving this issue. We assisted a defense firm by summarizing medical records of people who received gamma globulin that was contaminated with hepatitis C. Our task was to summarize years of medications, confirm the lot number of the medications, and to look for any other plausible reason for the development of hepatitis C. We’ve supplied experts for cases involving contaminated medications at oncology practices where patients typically have low white blood cell counts and are at increased risk of infection. Patients at pain management clinics are also at risk because of the administration of preservative-free medications into the spinal fluid. These cases may have significant damages. Patients may die or become chronically ill as a result of contracting serious infections from the misuse of medication vials. Epidural abscesses may cause paralysis. How do these cases come to light? A whistleblower may report an unsafe practice. The state department of health may contact the Centers for Disease Control about an unusual incidence of infections. This occurred in the 2007 case of an endoscopy clinic in Nevada where personnel were reusing syringes and single-dose medication vials. It is difficult to defend a case involving a lapse in infection control procedures. The goal of not wasting medication in order to save money is quickly swamped by the costs of litigation and damage to the facility’s reputation. Penny wise, pound foolish. Watch a free replay of a webinar on the misuse of vials. Med League provides well-qualified expert witnesses for a variety of medical and nursing malpractice cases. Contact us for help with your next case.